No roof lasts forever, no matter the quality of the material or installation. We perform all types of roof repairs to keep your roof looking and functioning at its best. Call us as soon as you notice problems for prompt roof repair service. The sooner the problem is addressed, the less it will cost — both in terms of the repair and damage to your home! As a leading roof repair company in Ohio, we repair and maintain all types of residential and commercial roofs. Whether you are dealing with pooling water, damaged shingles, or a roof leak, we can help. Learn about our roof repair services below and CONTACT US for a FREE ESTIMATE. While no problems with your roof should be ignored, some are much more serious than others. Contact us right away if you have any of the following problems. Fascia is the flat vinyl or wood material covering the end of your rafters. This material protects your roof and home from water. When the roof damage is still minor, it can be repaired. When ignored, fascia damage gives water an easy way into the home. It can also wick under the roof & cause significant problems. Leaks are usually blamed on the roof, but they may be coming from the chimney. Damage to the chimney crown allows rain to flow into the chimney and your home. Damage to flashing around the chimney is also a common cause of leaks. A roof that is sagging needs attention right away. Otherwise, the roof can actually collapse. A roof can sag due to faulty materials, water damage, or too much weight. It may even be caused by ceiling joints pulling away from the rafters. Missing shingles anywhere on your roof are a problem, but it’s more serious when shingles are missing in the valleys. This is because the valleys are the crucial area where rain flows and gets directed to the gutters. If the valley is compromised, you will have leaks. A leak means some component of your roof is experiencing a problem. This doesn’t always mean the roof itself is leaking or needs to be replaced. A leaking roof can be caused by damaged flashing and clogged roof vents, too. If you see signs of a leak, call us right away. Delaying roof leak repair can damage your attic, ceiling, and roof. It can also increase utility costs by damaging insulation. Water intrusion will cause mold growth in your HVAC system, walls, and wood. When ignored, a problem that would have cost a few hundred can cause thousands in damage. 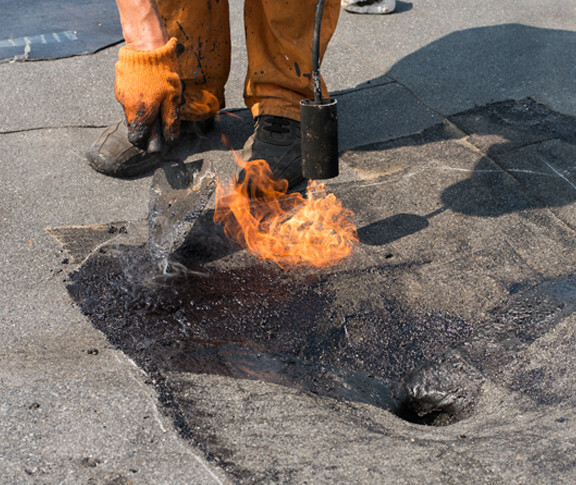 Alligatoring is a problem when flat roof asphalt gets old and loses its elasticity. This causes the surface to resemble alligator hide. When this happens, the roof is no longer providing protection. Roof repair is the last thing most homeowners want to think about. We understand. Still, it’s important to keep your roof in good condition to avoid even more costly repairs or replacement. We repair all types of residential roofs, from shingles to metal. Has your shingle roof seen better days? Our roofing contractors will help you determine if repairs are a good solution or if it’s time to replace your roof. The good news is when it’s caught early, damage to a shingle roof is usually easy to repair. As long as the damage is isolated to a small area, we can probably fix it. 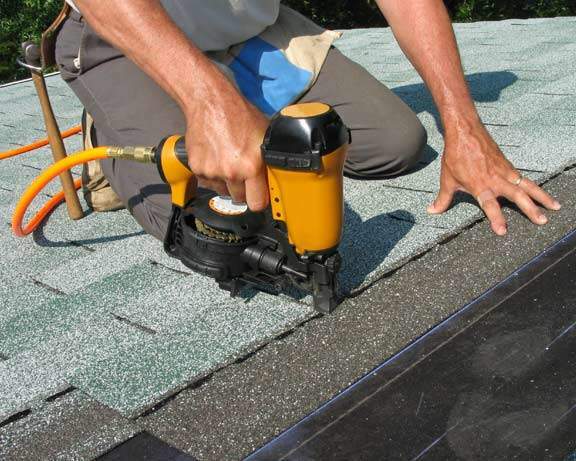 The most common issue with asphalt shingle roofs is damaged shingles. If you only have a few shingles that are missing or damaged, repairs are a cost-effective solution. Your damaged or missing shingles should be replaced as soon as possible to preserve your roof and prevent leaks. Minor damage to shingles, such as curling, can usually be addressed with asphalt roofing cement. This locks the shingles back in their correct position to stop water damage. Flashing is another important area of concern with your roof. Roof flashing is the sheet metal that protects the junctions, valleys, and edges of your roof. It also creates a watertight seal between the roofing and vent pipes, dormers, and chimneys. Damaged flashing quickly becomes an entry point for water. If you have a leak, the roof may not even be the problem. In this case, roof leak repair comes in the form of replacing the flashing. Metal roofs can last a lifetime with minimal care. This is one of many benefits that come with this major investment. Still, your metal roof will require routine repairs from time to time. Roof leak repair is the most common repair we perform on metal roofs. The main cause of metal roof leaks is improper installation. Poor installation can leave punctures or gaps in the roof. This can cause leaks along flashing or seams. Blow-offs may also happen due to poor installation. Open seams or laps can cause part of the roof to blow off. Tears and punctures can also be problems with metal roofs. Cement and clay tile roofs can last many decades with little care. Still, they require maintenance and repairs like anything else. Tile, like shingles, are prone to breaking or coming loose. The good news is tile roofs are easy to repair as the individual tiles can be removed and reattached or replaced. If your tile roof is leaking, tiles will need to be removed to repair the area. Commercial roofs require more upkeep than residential roofs due to their low pitch. If your commercial roof has ponding water, leaks, or tears, you can count on us. Our commercial roof repair experts will be there quickly for reliable and cost-effective repair services. EPDM or rubber roofs are common on commercial buildings for their durability and fairly low cost. Unfortunately, all it takes is a single puncture or rip for a rubber roof to leak. Repairing a rubber roof involves applying the right liquid roof coatings to seal holes. We also perform other common EPDM repairs such as separating seams and materials that are lifting. Whether a roof leak has shut down your business or a tree has fallen on your home, you can count on us to be there quickly. We are available day and night to respond to emergency roof repair calls. 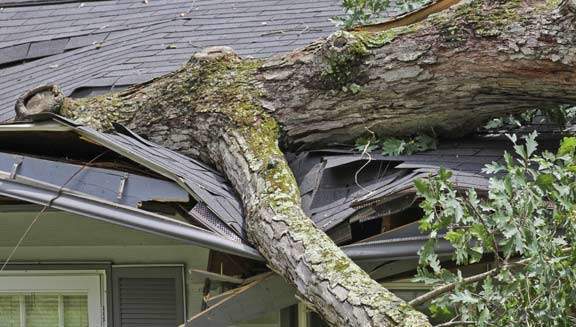 In the case of storm damage, we will remove the tree and tarp the damaged section of your roof until the weather improves and permanent repairs can begin. Have questions about repairing your roof? Here are a few of the most common questions we hear from customers. Contact us if you have any questions about Ohio roof repair or to request an estimate. Not necessarily. There are several things that may cause roof leaks. If the leak is caused by an aging roof system or serious damage, replacement will be necessary. If the leak is caused by a few missing shingles, damaged flashing, a clogged roof vent, or chimney problems, replacement may not be needed. What will it cost to repair the roof? If the damage to your roof is minimal, repairs will not affect the lifespan of your roof. When damage is more severe or caused by age, it means your roof is getting ready to fail. Repairs can extend the life of the roof by a season or two, but not forever. Our roof repair experts will help you understand the current condition of your roof and how long you should expect repairs to last. We will advise you when you should consider roof replacement. Call Now! 937-401-8818 or fill out the form below and someone from our team will be in touch with you shortly.